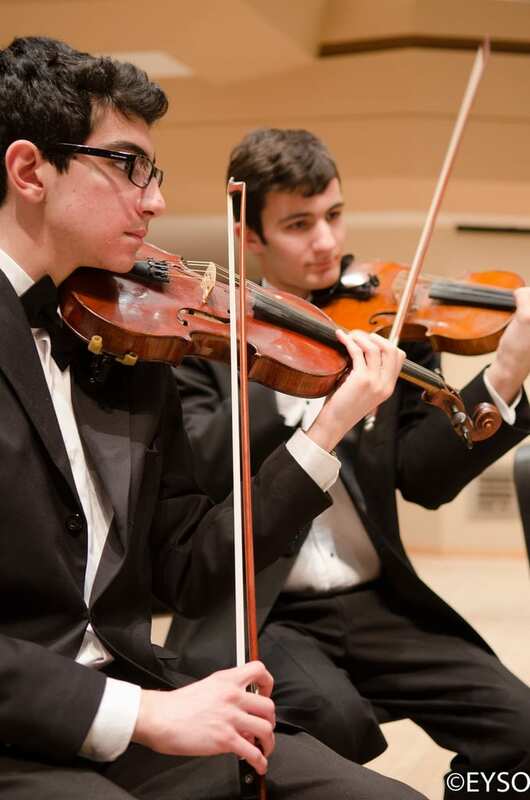 Since 1976, the Elgin Youth Symphony Orchestra has been challenging and inspiring an ever-widening circle of young musicians with rich and meaningful musical experiences. Today, the EYSO comprises nearly 400 students from over 70 area communities. Originally called the Elgin Area Youth Orchestra, the program began as a small group of string players under the direction of Robert Hanson. Thanks to the dedication of passionate volunteers and a distinguished roster of conductors, EAYO grew continually in its early years. Following the appointment of Randal Swiggum as Artistic Director in 1998, the organization was officially renamed the Elgin Youth Symphony Orchestra in 1999, and Mr. Swiggum’s exciting brand of education and performance quickly garnered national and international acclaim, including awards from the Illinois Council of Orchestras and a featured performance at the 2006 Aberdeen International Youth Festival in Scotland. The 2018-19 season is EYSO’s 43rd, continuing in a long legacy of exceptional education.